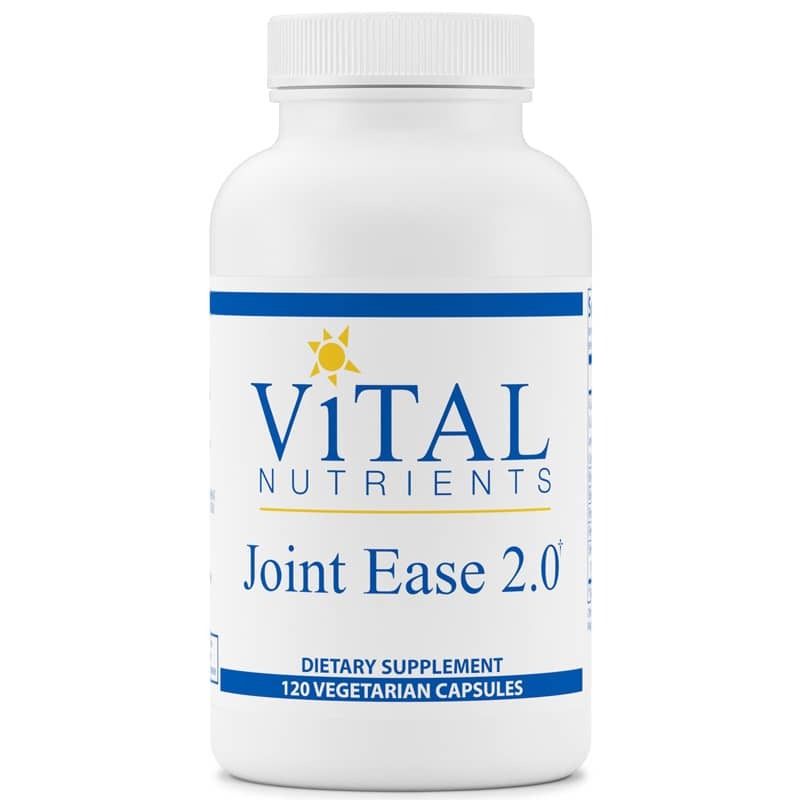 Joint Ease 2.0 by Vital Nutrients is a natural supplement that contains a combination of herbs which support cartilage and joint function. 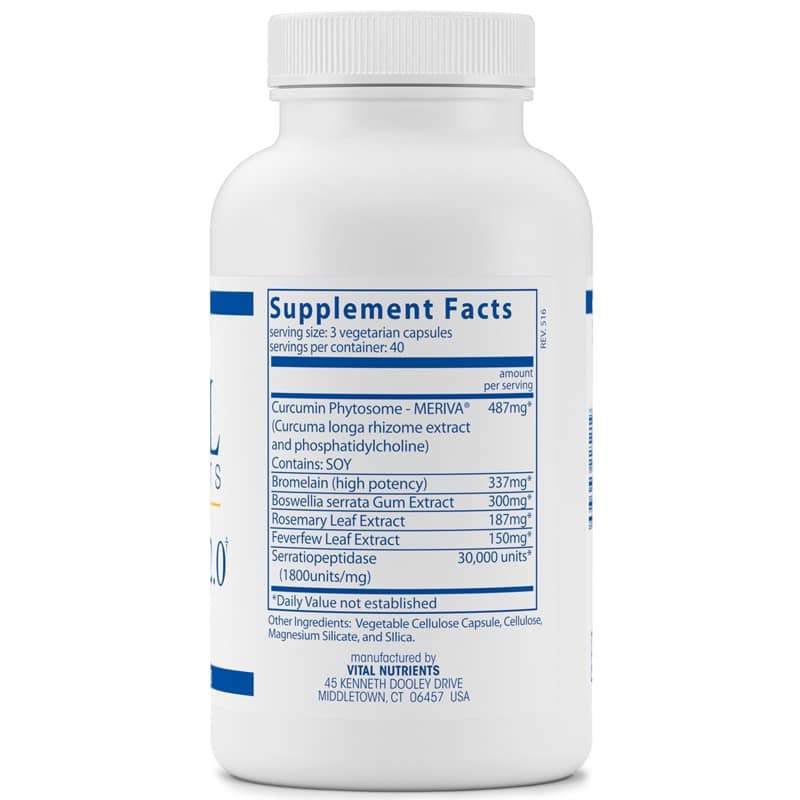 This herbal combination has powerful antioxidants and reduces substance P levels in the body. Contains NO: coatings, binders, gluten (wheat, rye, barley), milk/dairy (casein, whey), egg protein, sugar. 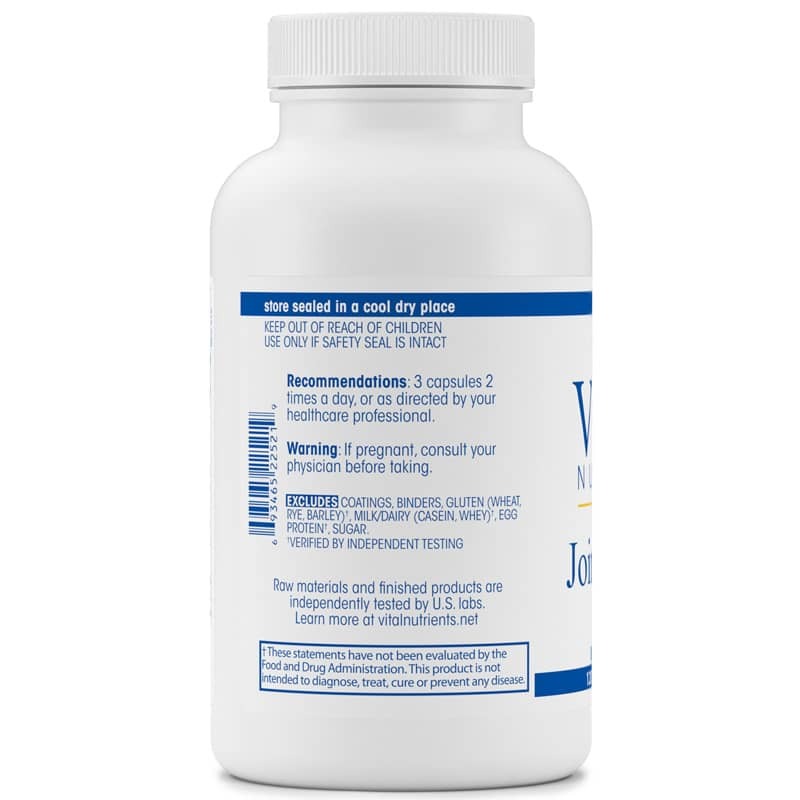 Adults: 3 capsules 2 times a day, or as directed by a healthcare practitioner.